In the modern text message society, it is easy to lose the traditional concepts of etiquette. After all, one is often busy trying to keep up with the newest and greatest—how much time do we have to remember the old-fashion ways? Yet decorum and etiquette should never be out of style. Additionally, the ability to conduct oneself with propriety in a given situation is a step toward having a successful interaction. Consider your own viewpoint: given the choice between two equally qualified business proposals, which would you take? The one presented by people who spoke with full sentences who looked you in the eye or the one presented with half-sentences and distracted looks? Following the general pattern of etiquette, though, is not natural for most of us. In truth, I would suggest that the reason etiquette goes so far in establishing the distinctiveness of a person is because it requires effort to present. Anyone can grunt hello without looking up…or slurp down a milkshake, but doing something beyond that demonstrates the value of the relationship. 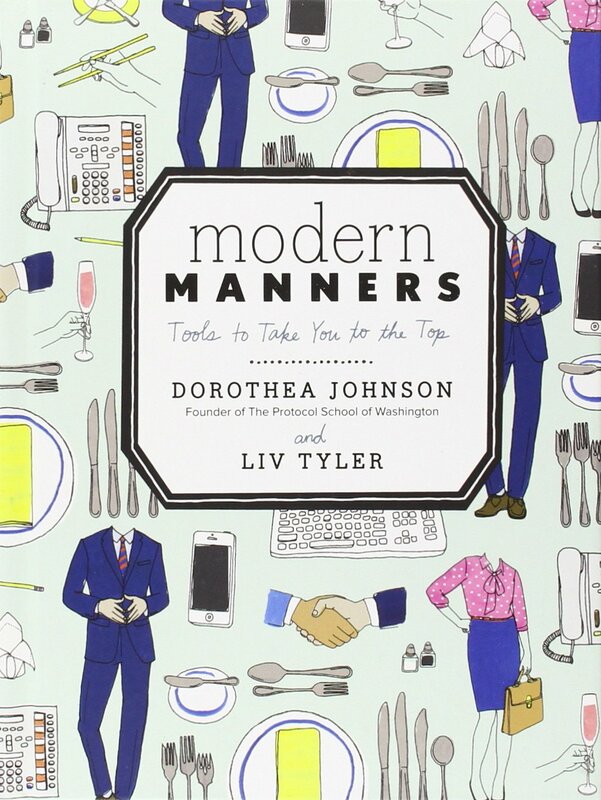 Modern Manners is laid out as a reference book on basic etiquette. First, there is a simple organization to the work. Each major section addresses specific situations: “Meetings and greetings” or “Out and About.” Second, specific instances, like seating or toasting, are spelled out simply in a matter of 1 or 2 pages. Third, the authors clearly delineate the differences in formal and informal situations. The clarity in those areas is helpful. Johnson and Tyler do an excellent job of presenting the basics of what to do, with a touch of the why to do it sprinkled in. One of The Protocol School’s other works may be more detailed or academic, but this functions well as a general introduction and practical work on etiquette. I will be applying many of the lessons, as well as using it with my children as we practice etiquette for the years to come.